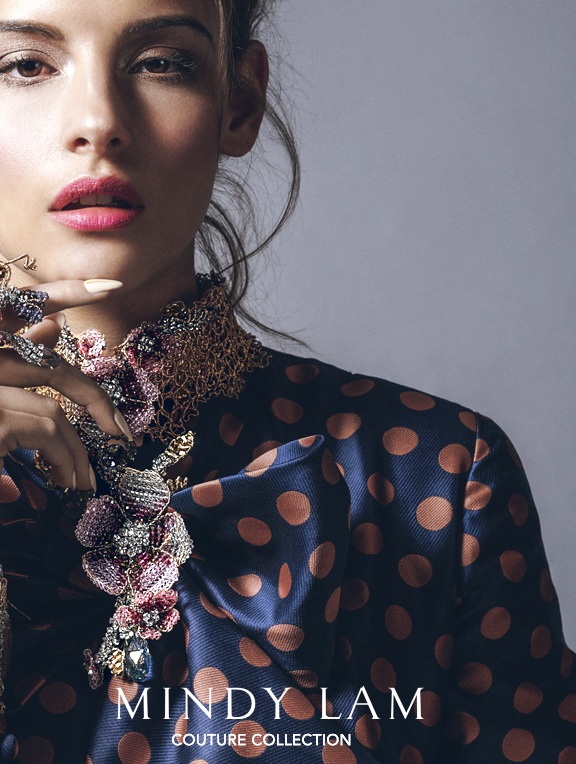 the minimalist who wants to take it up a notch. 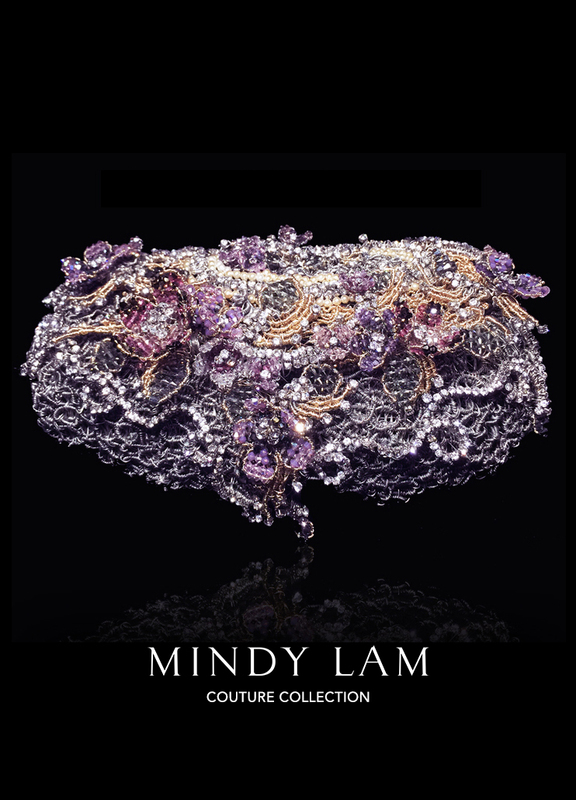 Mindy Lam clutches are works of art and conversation pieces for cocktail or black tie, a night on the town, or with denim. 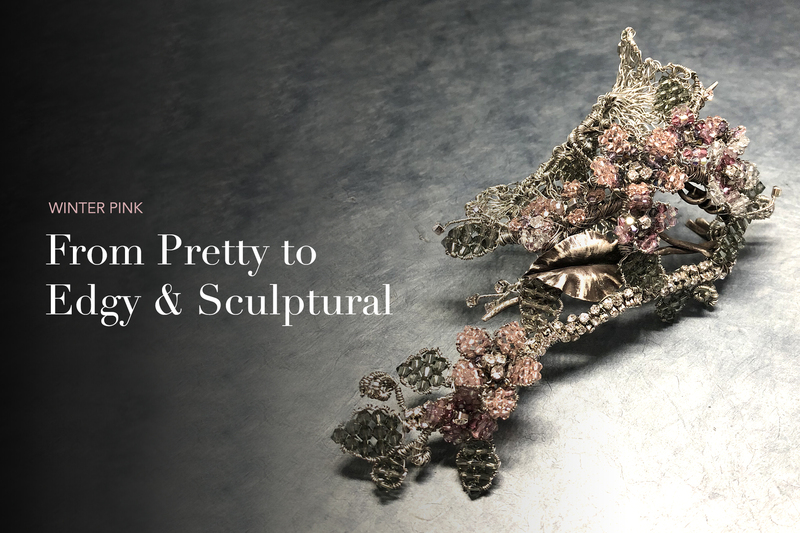 When not in use These pieces are beautiful pieces displayed in the home styled in vignettes on bookshelves, vanities, or coffee tables. 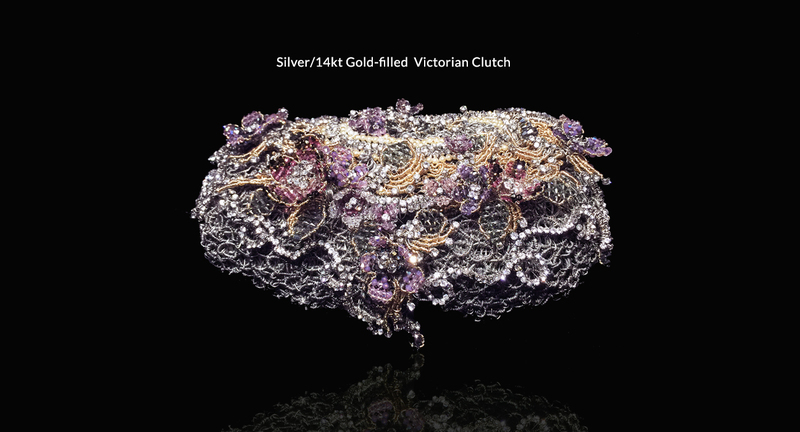 This Victorian clutch is sold but you can custom order her sister and/or submit your own specs. 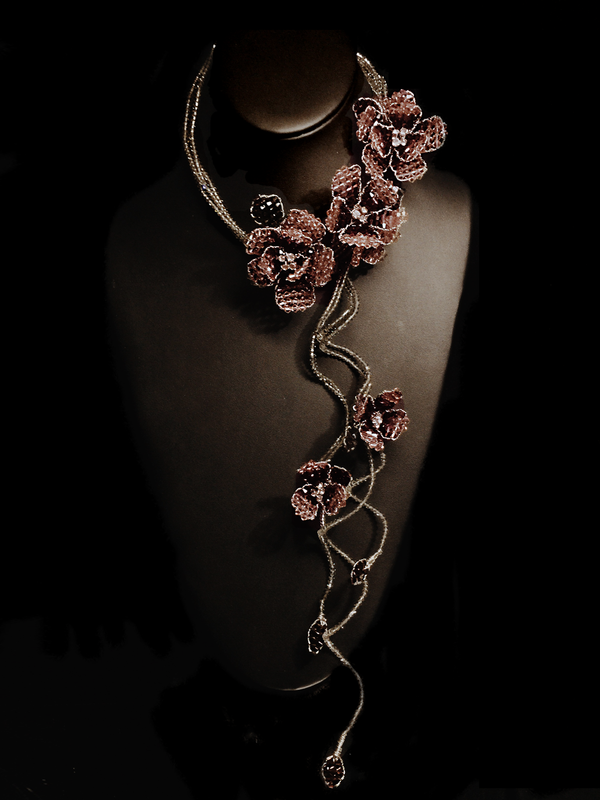 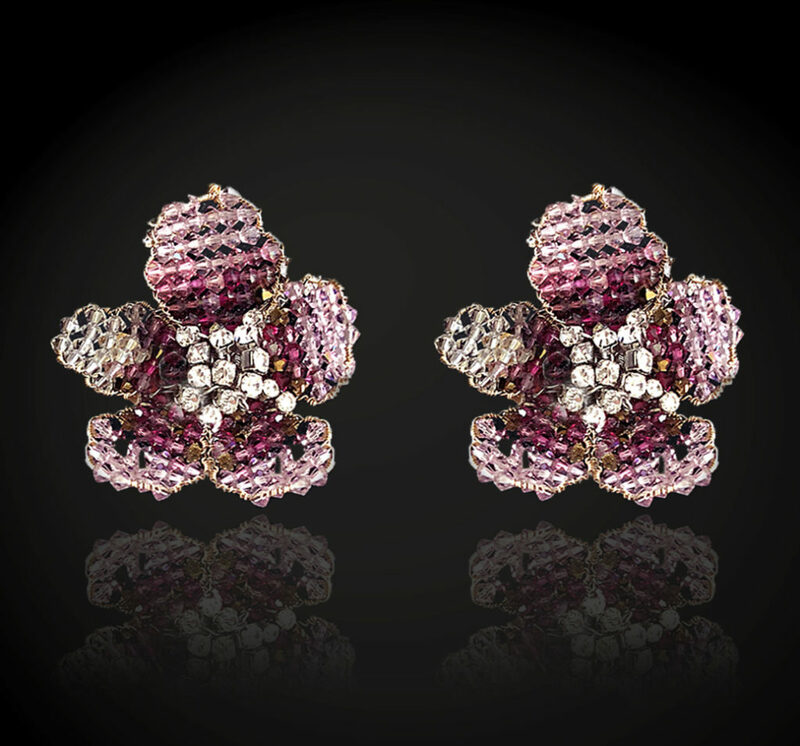 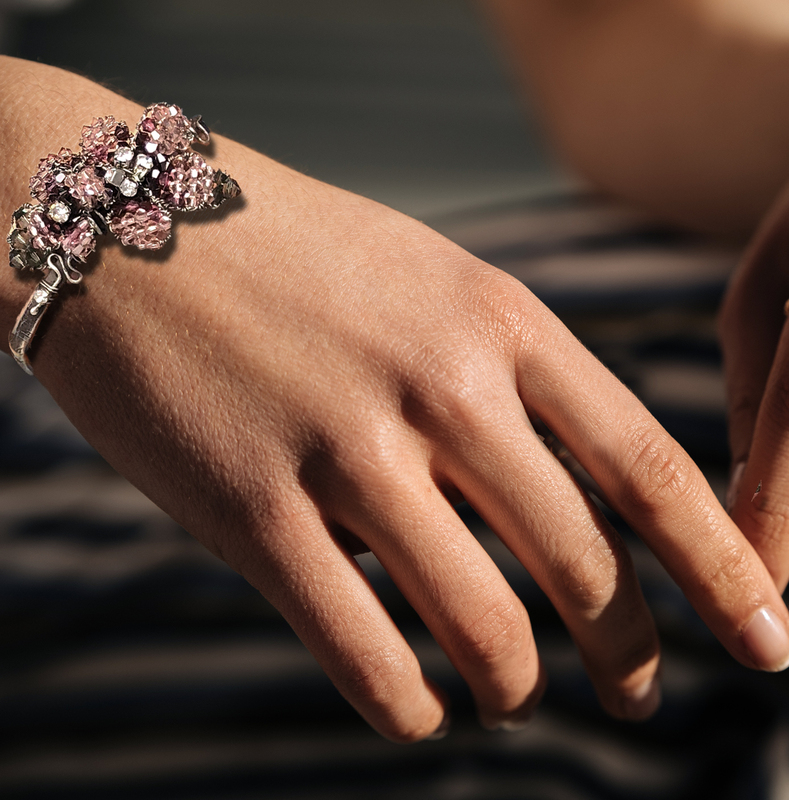 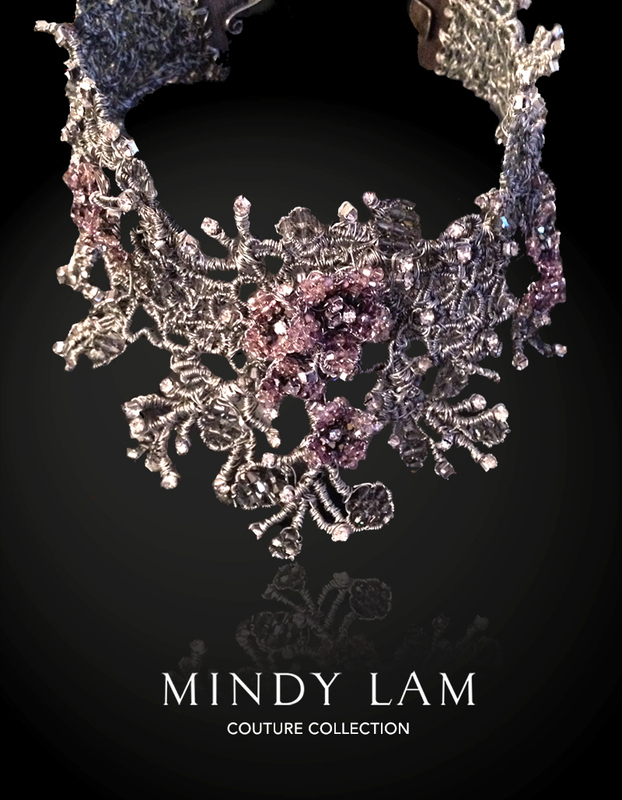 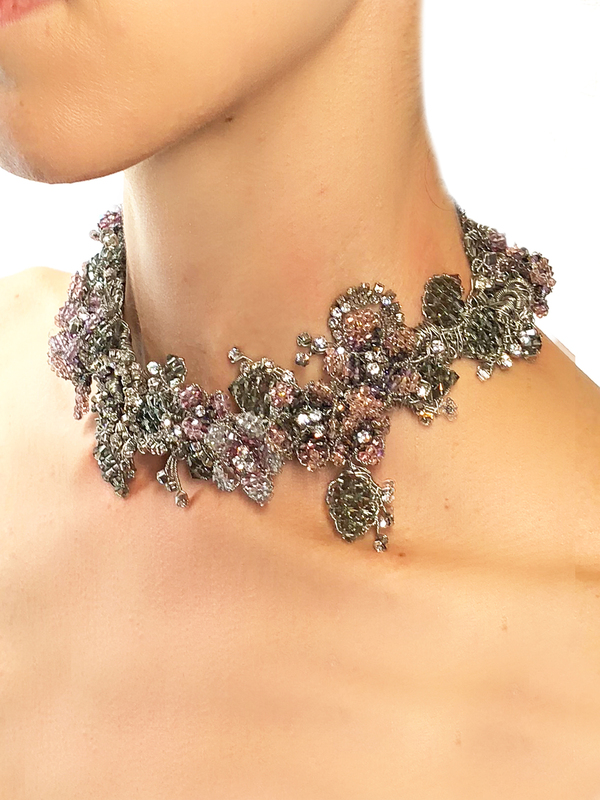 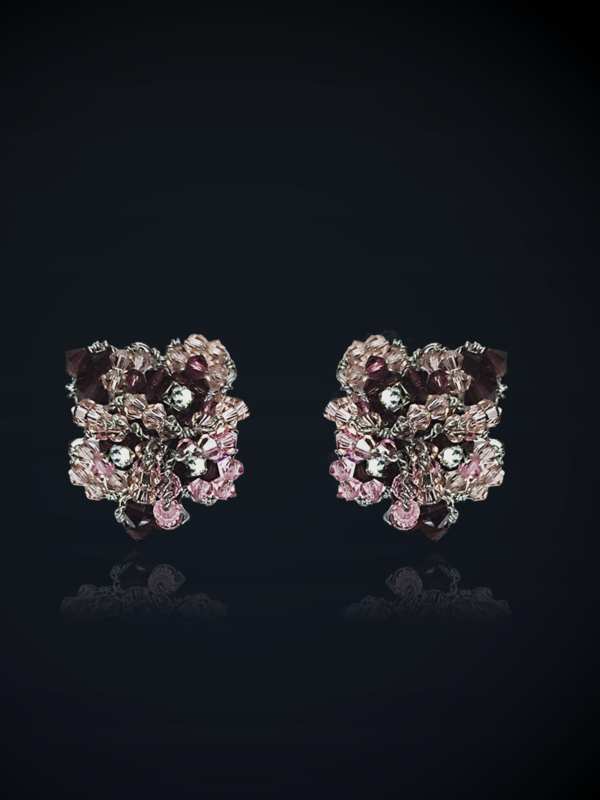 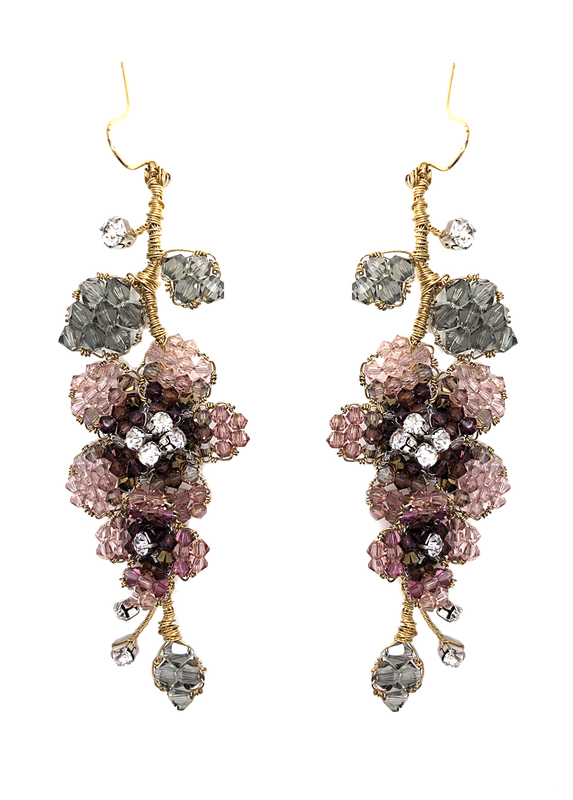 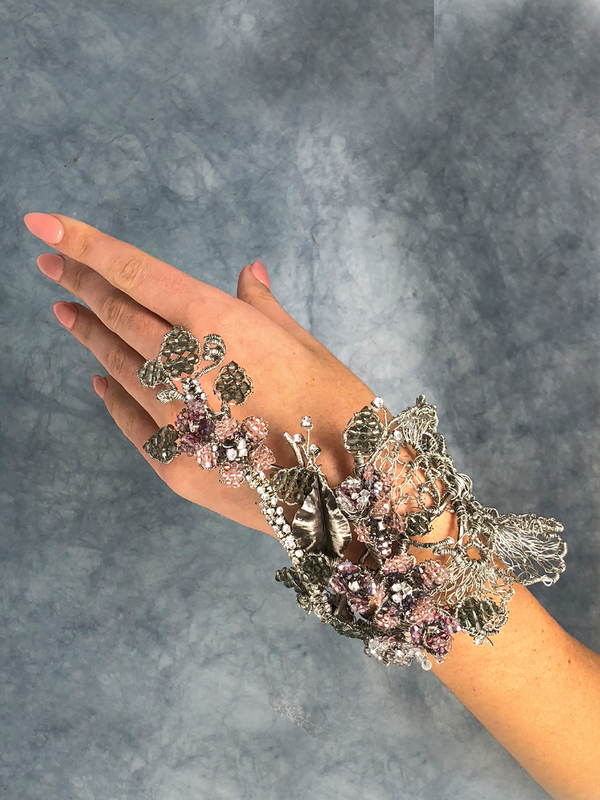 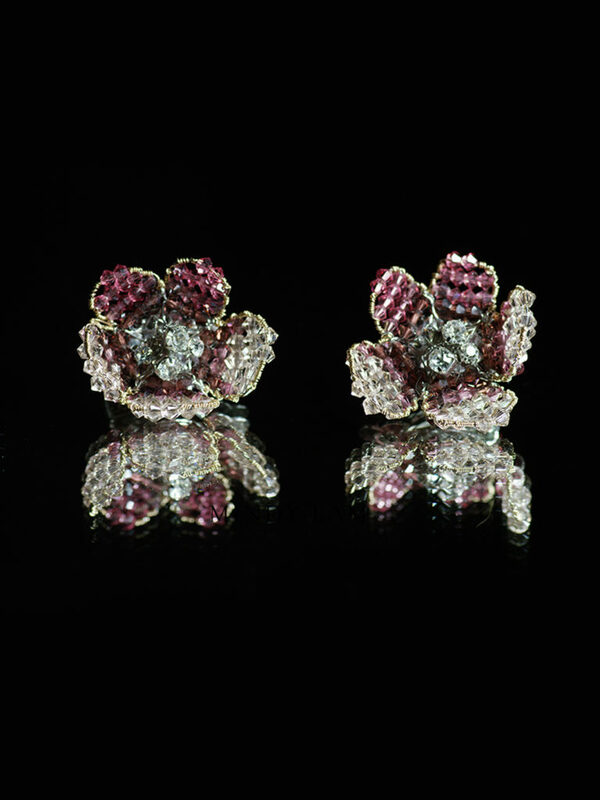 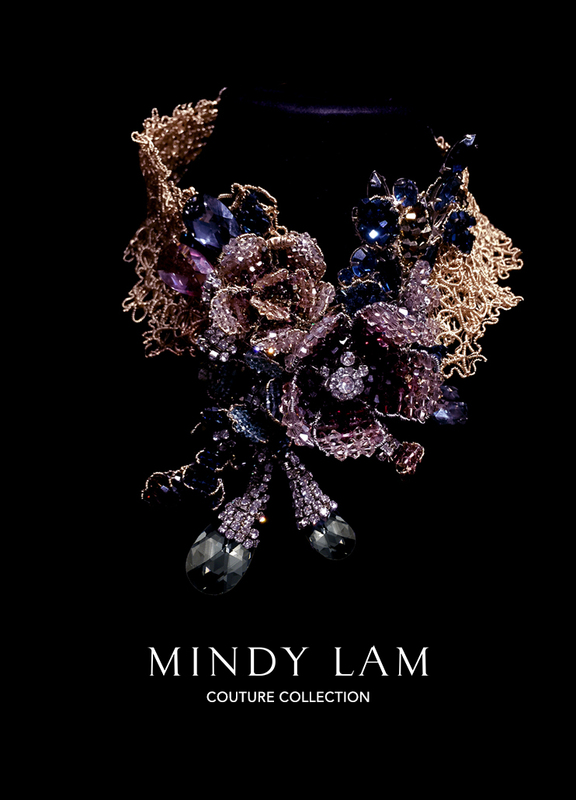 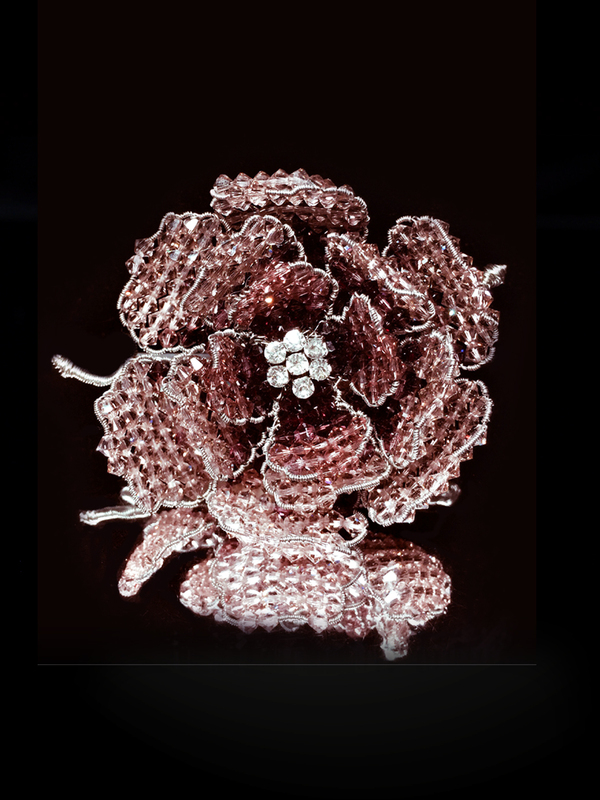 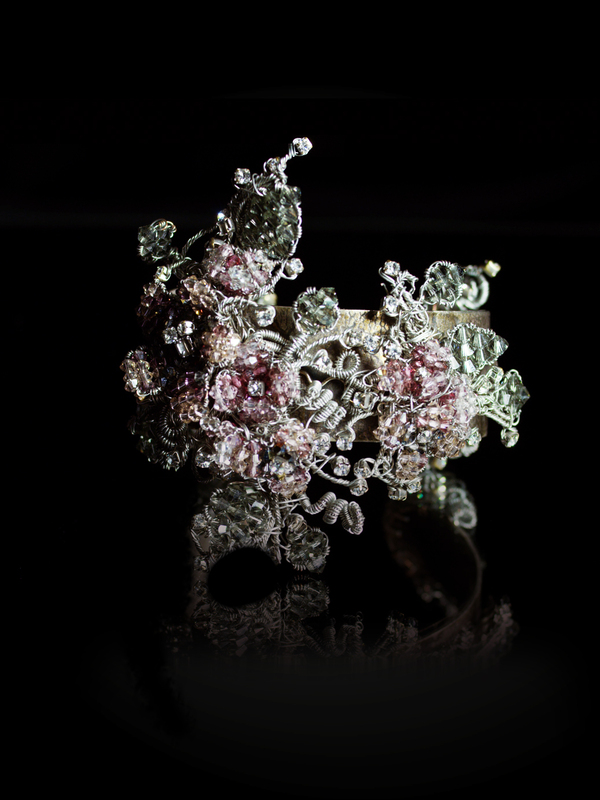 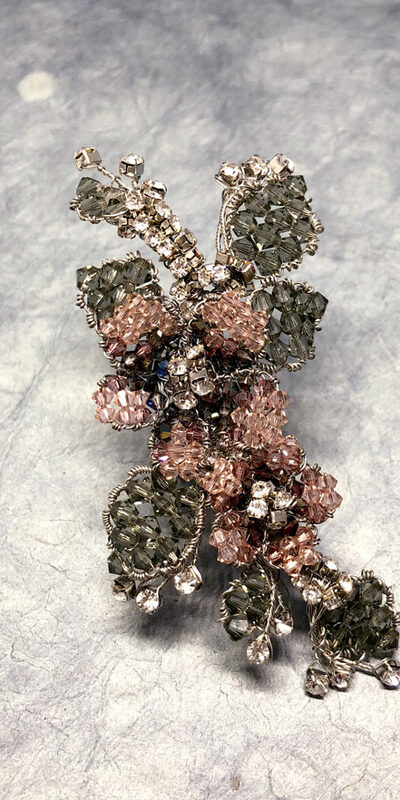 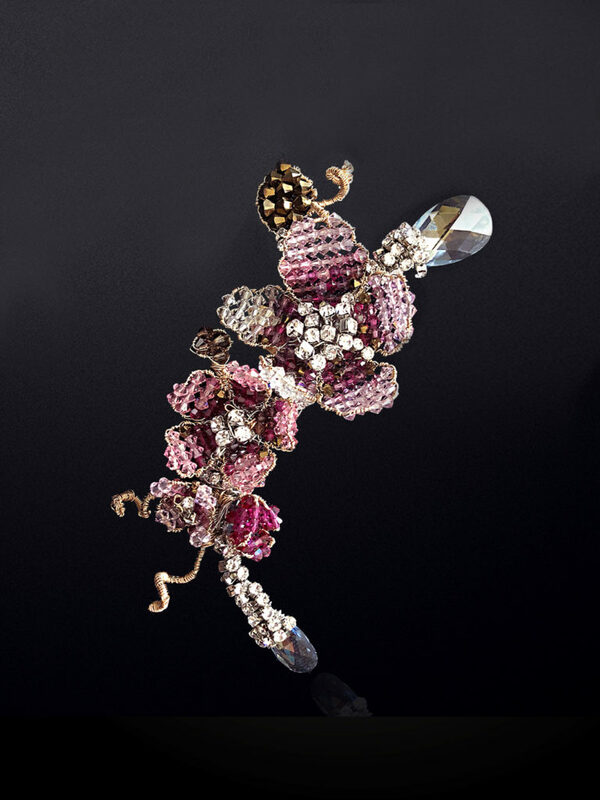 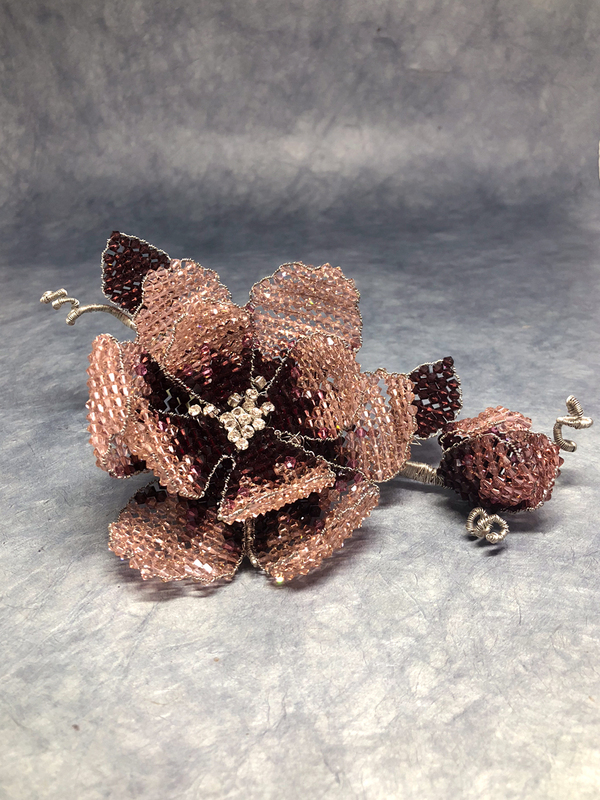 This Victorian piece is with Lam’s signature metal lace, vintage rhinestones, Swarovski pearls, and Lam’s signature Swarovski florals. 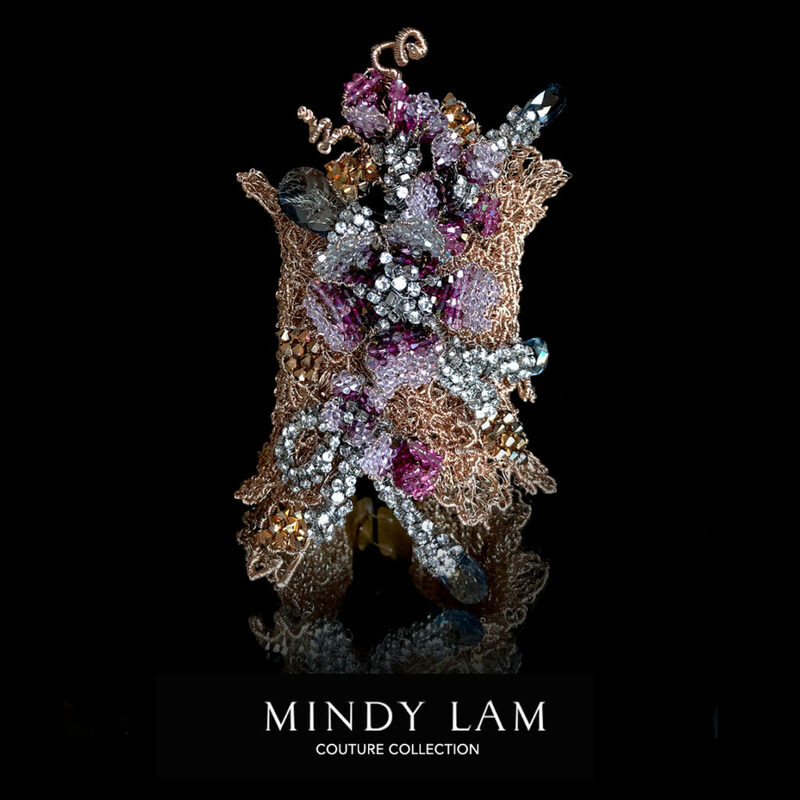 Inspired by a trip to Santorini, Mindy was inspired to create a capsule collection as an addendum to a special personal collection she has designed. 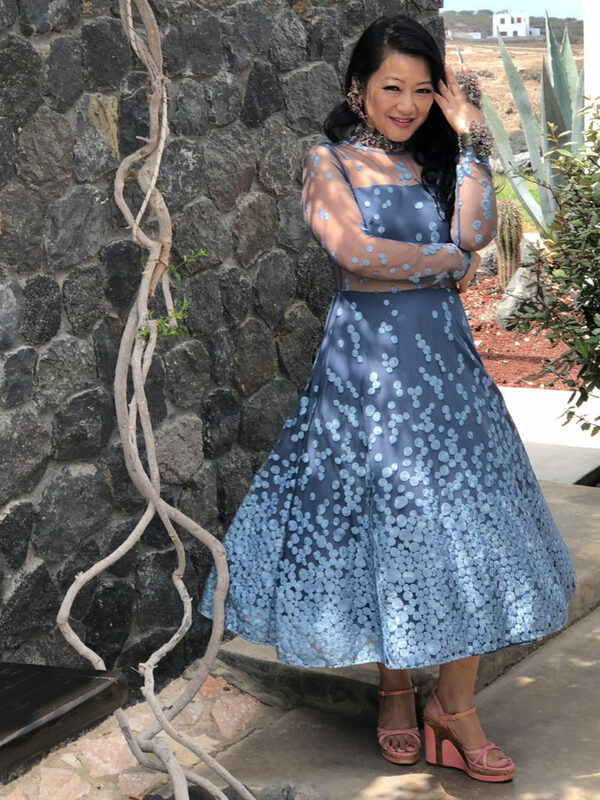 Inspired by the beautiful architecture and natural landscapes, the capsule collection hugs and celebrates the body's natural curves in an elegant and organic way.